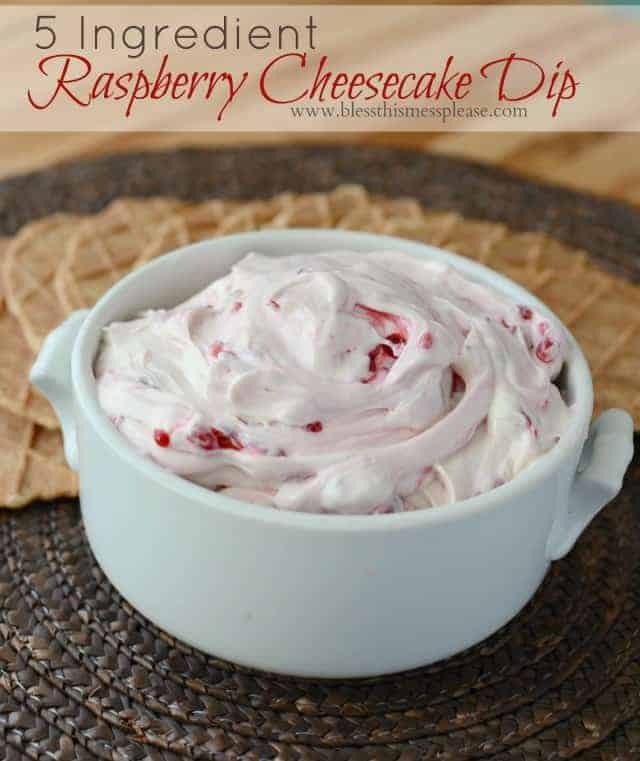 Quick and easy raspberry cheesecake dip. It has five ingredients and takes less than five minutes to whip together. Yes, please! I’m always on the hunt for quick and easy recipes to take to baby showers, lunch at a friend’s, parties, or cook-outs and this recipes fits the bill. It tastes amazing and you can serve it with whatever you have in the house. 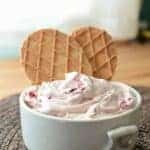 We loved it with these butter waffle cookies, but it would also be perfect with graham crackers, animal crackers, vanilla wafers, or even fruit. The choice is yours. In a large bowl add the cream cheese, sweetened condensed milk, vanilla, and lemon juice and beat until well combines. Continue to beat until the mixture is light and fluffy, about 2 minutes. Gently fold the berries into the mixture. 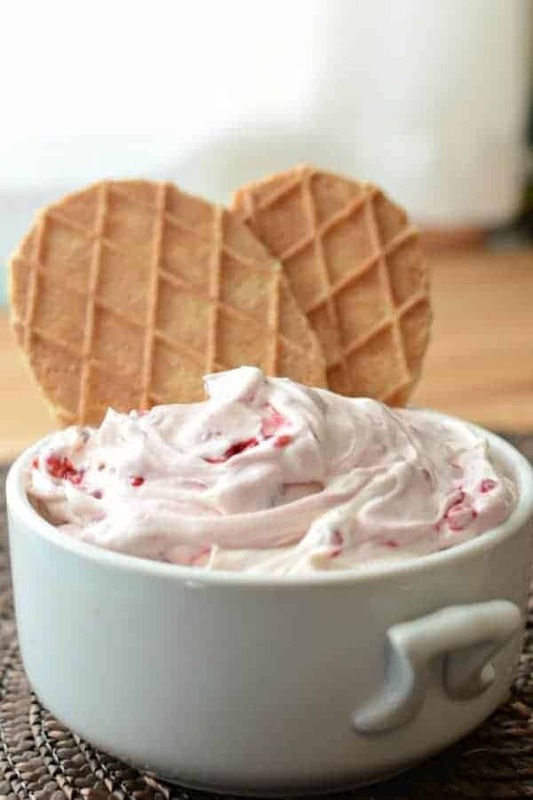 What did you use for dipping in the picture? 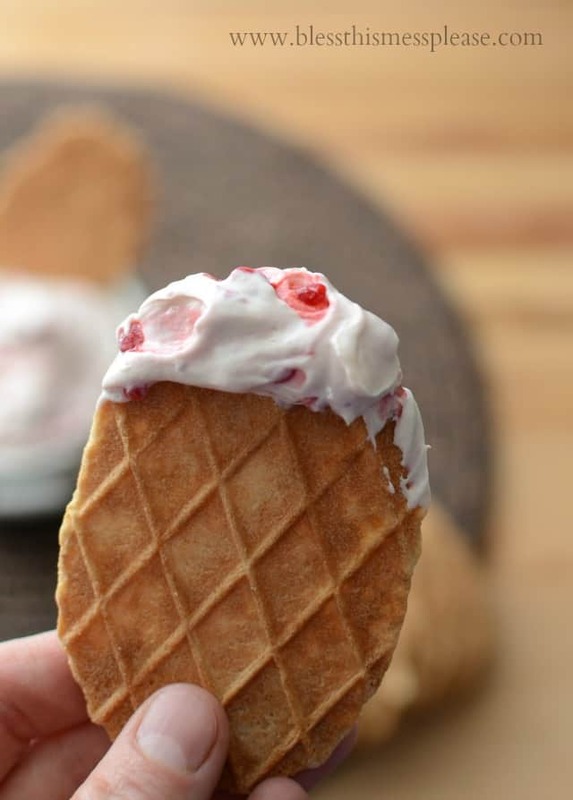 It looks like a waffle cone. They are these amazing butter cookies you can get at Trader Joes. And now I wish I had some! 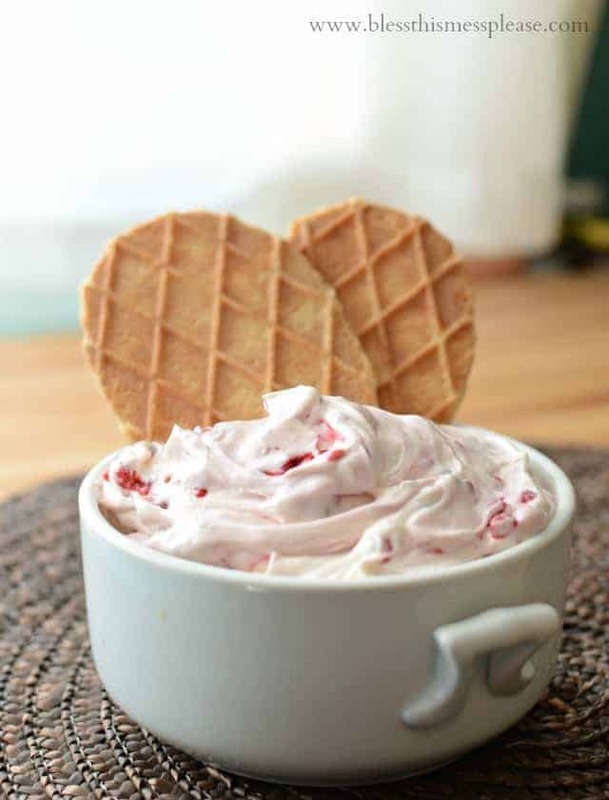 Can this dip be made ahead and frozen? It’ll be good up to 5 days in the fridge but it isn’t awesome frozen. It throws off the texture… and if you are making it ahead of time, I’d wait to add the raspberries until you are ready to serve it. Melissa, thank you! One more question; do you purée the raspberries or slightly mash them? Again, thank you! !